The breathtaking experience of Machu Picchu was everything I thought it would be. 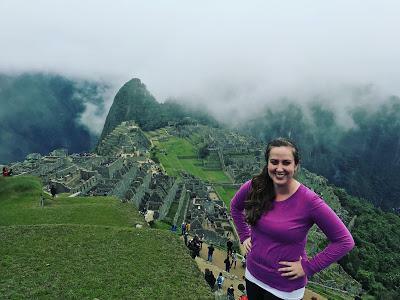 When I first booked my trip to Peru with Under30Experiences, I did it with the sole intention of wanting to see Machu Picchu, as many people do. With the changes in regulations and the constant chatter of it closing to the public, I knew I had to get there sooner than later. What I didn't expect was to fall in love with Peru as a whole. I loved the city of Cusco, the food, the culture, and the crazy amount of llama souvenirs. And then ESCALATED QUICKLY as so many love stories do. I flew into Lima and our first day was spent there exploring the city and learning about the culture. It was a great way to get to know the 14 other people on the trip and begin to form connections and bonds. As always, there were such positive, open-minded people on the trip. It always amazes me how fast you get to know people on these trips because you are forced into these experiences that make you rely on others for support in many different ways. 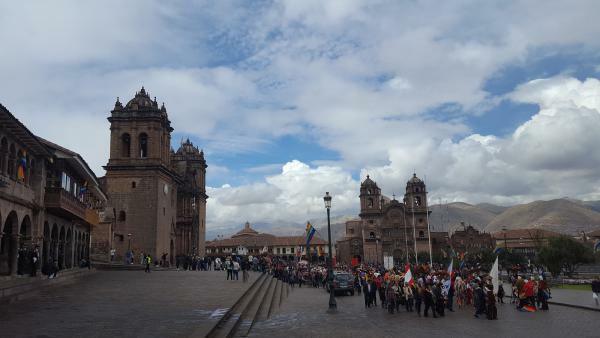 The next day, we flew to Cusco. Let me tell you one thing about Cusco, the altitude is no joke. At about 11,000 feet up, my heart was racing and walking seemed to take a ton of effort. To battle the altitude issues, Peruvians use coca leaves. I'm not sure if they really helped or not, but the coca tea was pretty delicious. We spent the next day acclimating to the new altitude so that we would be ready for a trek to Machu in two days. The streets are like something out of a storybook or Disney movie. They wind and twist, yet you always seem to end up in the main square. There are shops selling some of the best souvenirs I've ever seen. A llama print scarf for $5? I'll take two! Seven llama key chains for $1.50? I NEED that! Baby alpaca blankets for under $100, sweaters with llama prints, and llama leg warmers (you know I def bought those), just to name a few things. Not only was the shopping addictive, so was the energy of the city. We saw a parade in Lima the first day, but I hadn't realized yet how much Peru loves parades. In six days, I saw three parades. It's hard not to love a place that has so much joy about life. I can be somewhat of a boring eater, but I really enjoyed the food. Who doesn't love getting french fries with pretty much everything you order. Meat, rice, and french fries? I'm in. I also pushed myself WAYYYYY out of my comfort zone and tried guinea pig and alpaca meat (for those of you wondering, guinea pig is not something I would ever recommend to anyone. My best description of it is "gamey." 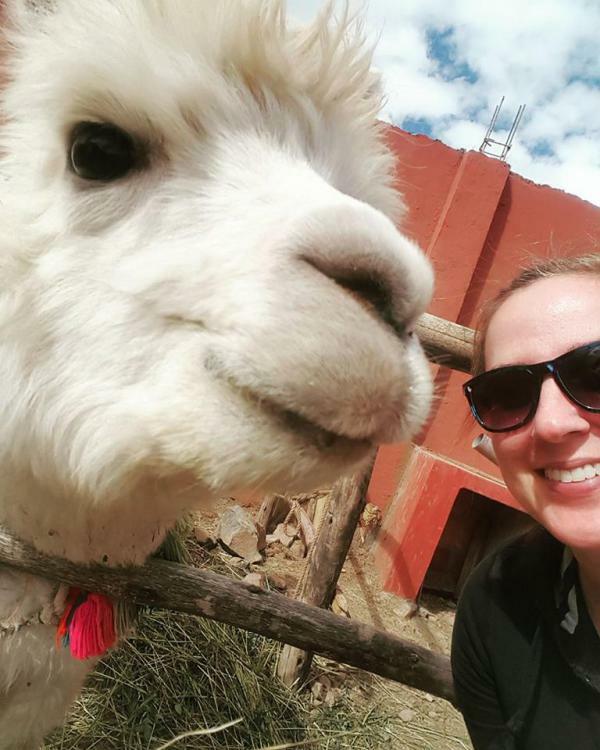 The alpaca was pretty tasty but then I felt insanely guilty eating it after taking the most amazing selfie with one). This was my third trip with them and I have to say, I was able to experience the true Peruvian culture because of their mindful planning. On my own, I would have never planned a day to spend on a farm. I took part in a traditional ceremony giving thanks to all that the earth gives to us and then harvested oats shoulder to shoulder with the members of the Chinchero community. All week we had a guide that grew up in the Cusco area. To be able to spend so much time with someone local to the area is incredible. Roland may by my new best friend (he might not know it yet though). He was able to answer any questions we have about Peru, the culture, their love of coca leaves, and provide insight into the true daily life in Peru. When someone on the trip got sick in the oat field, we offered whatever we had in our bags to make her feel better. When someone had food poisoning, the traveler who is a doctor on the trip sat with her in a tiny bathroom to make sure she was okay. When I was worried about my bladder condition and the bathroom situation at Machu Picchu, Roland made sure I had access to a toilet. We laughed, we got sick, and (some) drank a lot of pisco together. The days scheduled to help acclimate us to the altitude were some of the best I've ever experienced. U30X has a way of building their trips to have momentum and build the excitement with each day. 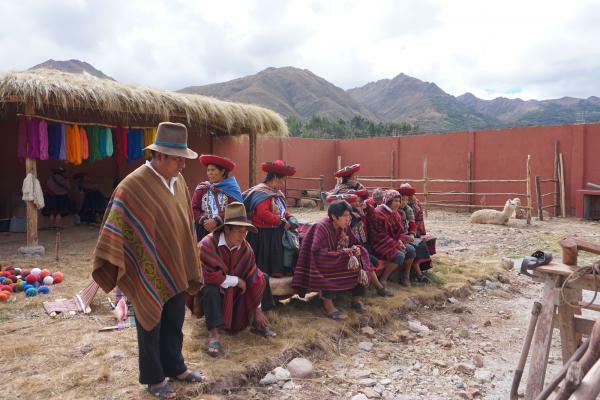 As we left the farm to board the Inca Trail Train, I was sad that the trip was coming to a close in a little more than 24 hours. From the moment I got on the bus heading up, it was an experience. The morning was foggy and contributed to the Disney like effect of the scenery on the trip. I felt like I was on my way to the most incredible ride, but it was real life. None of it was staged. I was really in the clouds (or the cloud forest as the locals call it). After a morning of learning about Machu Picchu, why it was built, how it was built, we made the climb to the "postcard lookout" (aka the photo all of your friends who have been there have posted). With the altitude burning my lungs with every step up, it was such a great feeling of accomplishment to reach our summit. As I stood on top of a giant mountain looking out at this awe inspiring structure the Incans built hundreds of years ago, all I could think about was how lucky I was to be able to be part of such an incredible journey. Want to join us in Peru? 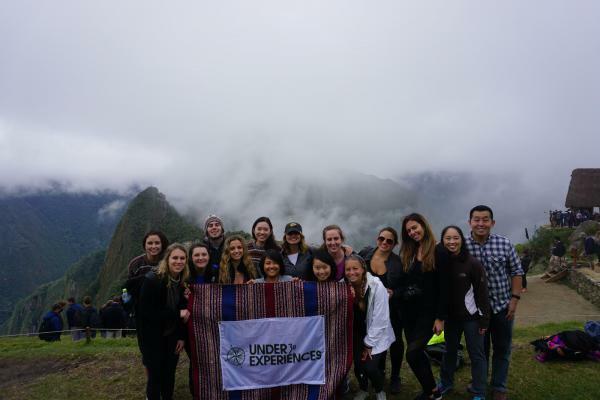 Sign now for Explore Peru + Machu Picchu, hike the Inca Trail to Machu Picchu, or Machu Picchu + Amazon today! Kristen Laino moonlights as a blogger and is currently pursuing a masters in early childhood education. She is a women's and mental health advocate and believes in sharing her story to help others feel comfortable sharing theirs. 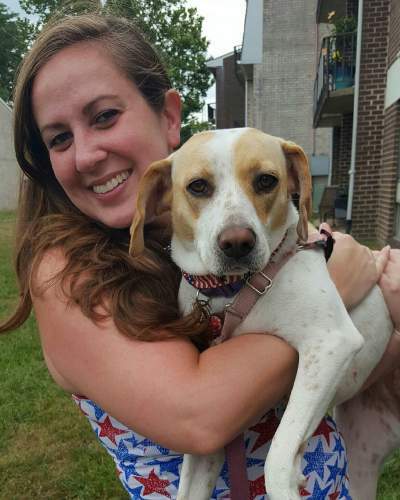 She loves to go on adventures with her dog, Penny, around the Philadelphia area and never turns down a cover band or costume party. Travel is one of her passions and is at 23 countries and counting.